Unikem ® and Unimelt ® offer a total service package from concept to aftermarket support. Their latest technology gives its customers the choice of products to suit their needs. Unikem was founded in 1993 as a manufacturer and distributor of adhesives to the footwear industry. 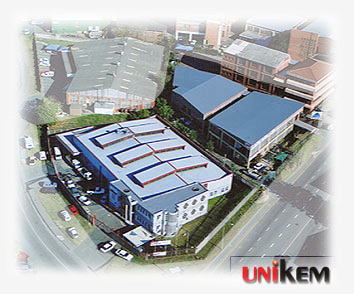 Today, UNIKEM ® and UNIMELT ® are a company leading the South African industry with a broad and expanding range of quality locally produced products including solvent based, waterbased and hotmelt adhesive. UNIKEM ® and UNIMELT ® is a partner to their customers, a partner who identifies the needs of their customers and assists them in achieving their goals.